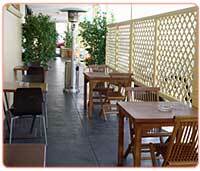 The Garden Bar is stylish and relaxed with great quality meals from the bistro at affordable prices. The outdoor area is a great place to enjoy live music, sport on the big screen or just relax and soak up the atmosphere. There is seating available for over 500 people ranging from the outdoor seating in the sun to day beds and banquettes in the shaded pavilion. You can choose to book you function in a number of locations to suit your needs. Open for Lunch and Dinner every day until late into the evening. The Tavern Bar is the heart of the Albion. It has been newly updated and includes a TAB, sports bar with big screen, pool tables and jukebox with all of your favourites. Open until late it is down to earth and the place to have that cold beer after the end of a hard days work. We are one of Sydney's top ten clubs having in excess of 30,000 members. We have a strong sports base, assisting some 30 sporting sub-clubs representing 8,000 active junior and senior sports men and women. 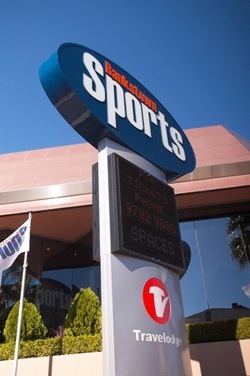 Be at Oneworld Sport Parramatta and enjoy all the live sporting action as it happens. Oneworld Sport Parramatta offers you the best and latest in Big Screens, Lighting and Sound. Sound!!! We have over 18000 watts of sound throughout our Arena and Sin Bin Nightclub Areas pumping out all the greatest and current hits. Established in May 2003 and Catering Specifically for a varied clientell and the local community, set in the heart of Parramatta’s Restaurant and Bar Strip, Oneworld Sport Parramatta offers you the best and latest in Big Screens, Lighting, and Sound. We have thin screens, big screens, screens for all occasions to watch all the live sporting action around the globe. First opened in 1999 as the grandest and most authentic Irish pub ever to open in New South Wales (although we reckon it’s the best pub in Australia, to be sure!). After 5 years, the Gallagher clan decided to open a new bar, restaurant, outdoor and function area. Combining old with the new, PJ’s has maintained tradition by keeping its authentic Irish pub antiques, but has stayed contemporary through a $5 million dollar refurbishment mid 2004. As a result of the refurbishment, a whole top floor has been designed and dedicated to function rooms. A new eatery, The Bistro, continues the traditional Irish feel... a pizzeria! 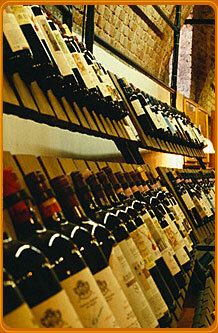 We’ve pilfered Italy’s best-known export and made it our own! Enjoy Live Entertainment 5 Days A Week at the Collingwood Hotel. Relax and have a drink, enjoy the Bistro and Beer Garden while you catch up with family and friends. Gasworks Nightclub Gasworks is a brand new 500 capacity state-of-the-art entertainment venue with a sound and lighting system to suit all occasions. The venue transforms throughout the week and plays host to live bands, top line DJs and poker tournaments amongst other weekly events. Friday and Saturday nights the venue gets serious with DJs playing a range of commercial dance, funk, Pop and Chart RnB to suit the crowd. Party on here until 5am if you can keep up the pace! Click here to check out what's happening at Gasworks. The Brown Jug hotel is located in Fairfield Heights & is surrounded with many interesting things to see & do for the whole family, such as Fairfield city farm, Fairfield markets, Fairfield museum as well as Fairfield showground and trotting track. The hotel has three bars. One of them is the cosy Victory Bar where you can enjoy a great time in the company of your friends. The Brown Jug is fully equipped with a Pub TAB, Pool tables & daily promotions. 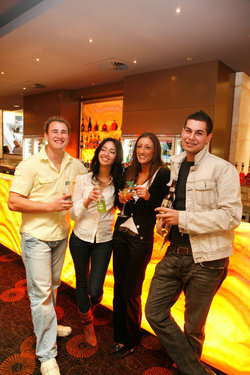 The Hotel carries a wide range of alcoholic & non-alcoholic drinks served by the friendliest staff in metropolitan Sydney. 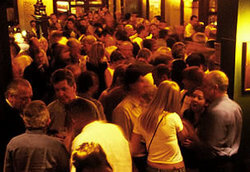 Open 7 days The Club Tavern in Liverpool is a greta place for all your social needs. From TAB and gaming to a quiet drink with a mate or from a delicious meal with the family to some of the best Live Entertainment in the area. You'll love the Club tavern. Come in and meet our friendly staff. The Commercial Hotel is located in the heart of the Parramatta CBD and has long been a local institution for its acclaimed bistro and diversified entertainment. Having completed extensive renovations in early 2010 the Commercial Hotel now boasts distinctive facilities in a friendly, contemporary atmosphere. Whether a small intimate gathering for 15 friends or a large corporate Christmas Party for 200 employees, we have perfected the balance of what it takes to make your next special event one you will remember. The Greystanes Inn has a reputation as the best hotel in the Holroyd area. Situated on Merrylands road just off the M4 motorway and not far from the M2. The hotel has been a favourite meeting place over the years for many locals. The outside beer garden is the heart of the hotel with its alfresco seating and views over the district. It’s a great place to quench ones thirst, catch up with friends and enjoy a sensational meal from the bistro. 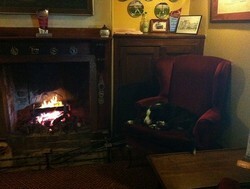 The Greystanes Inn is the ultimate pub to laze in the sun and soak up the hospitality and character of a classic hotel. 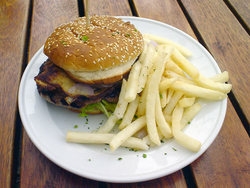 The hotel has many great facilities including the Club Bar and Restaurant which has a reputation for great juicy steaks. The Greystanes Inn is available for functions and parties. The Greystanes Bottleshop is stocked with a great range of Australian and international wines as well as your favourite beer. With 15 bars, your choice of four fantastic restaurants, three relaxed outdoor terraces, a world class health club, free door-to-door courtesy buses and a stellar line up of entertainment, Mounties has something for everyone. Located just five minutes from Liverpool in Sydney’s south-west, and the Club’s NSW ‘Club of the Year’, come and see for yourself why Mounties is the biggest and the best! 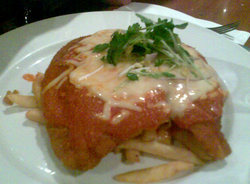 The New Victorian Tavern is located in Wetherill Park, New South Wales. Pleae contact The New Victorian Tavern for further information. A place so alive with personality you can almost see the walls breathing. Don't be fooled by the Oak's quaint facade. The only thing stressed at the Oak is the decor. It's a cool watering hole that attracts all types, of all styles in a broad age range but all with a similar agenda. The Royal Oak team are passionate about good food, coffee, wine, mixology and music. Don't expect robotic service, the staff are as cheeky as they are friendly. About the only thing they take seriously is making sure the patrons are having a great time. The Rose & Crown Hotel is a traditional ‘local style’ pub offering friendly service and a warm welcome to our patrons. The hotel was originally established around 1823, operating from the same site at the corner of Victoria Road and Sorrell Street Parramatta to the present day. This tradition of serving the local community has continued proudly for almost two hundred years, culminating in the modern facilities & services we provide to our patrons today. Our popular Bistro offers both indoor or outdoor casual dining and is renowned for fantastic value and excellent quality meals. The bistro menu is complimented by a selection of perfectly chilled draught or boutique beers as well as an extensive wine list, with something available to suit all tastes. Conveniently located on the corner of the Cumberland Highway and the Horsley Drive, the Smithfield Tavern is the quintessential hotel. We boast friendly staff and two comfortable bars, TAB facilities; a Bistro and a well stocked drive through bottle shop. The service is great and the prices are reasonable. So whether you’re a weary traveller or a thirsty local drop into the Tavern and quench that thirst. Looking for somewhere to enjoy a relaxed drink in a welcoming and comfortable environment? Then come and see us at the Stardust Hotel. We are located at 84 Broomfield Street, Cabramatta. Just across the road from the train station. 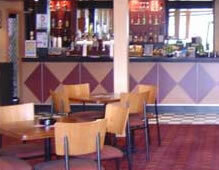 Enjoy well priced drinks in the main public bar. 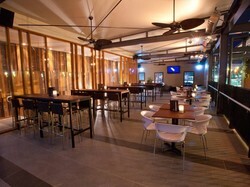 We also have a VIP lounge, TAB and bottle shop on premise. And whilst you are here enjoy a meal in the newly opened Iron Chef Chinese Seafood Restaurant. 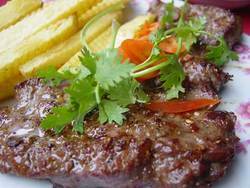 We offer a beautifully balanced menu that draws influence from Cantonese, Vietnamese and Thai cuisines. Steeds Club Grill & Bar specialises in market fresh seafood, Angus beef, premium Australian wines and cocktails. 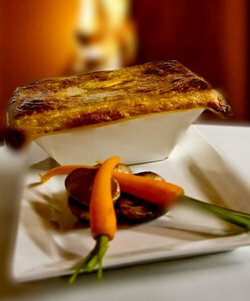 The menu changes seasonally with a variety of flavours to suit all palates. Steeds is the perfect meeting place for a quiet drink or an intimate dining experience. Also available for small weddings and functions. Parra Heaven. 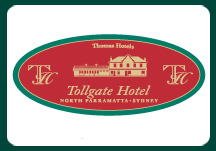 As proud supporters of the Parrmatta Eels, the Tollgate has an area of the Hotel dedicated to the team. With floor to ceiling memorabilia and collectables; it will take you some time to discover it all. The Roxy has been redeveloped into a state of the art entertainment complex. Concentrating on style and sophistication, The Roxy caters for everyone. The Roxy Street Bar is situated adjacent to the courtyard and is the perfect place to meet for post work drinks. 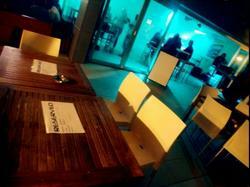 Open every day from 12am, the courtyard is fully heated and we have wireless internet access throughout the venue. Happy hours are Monday to Thursday from 4-6pm. The Roxy lounge is one of the key features of our revamped establishment. 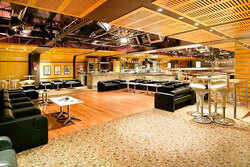 It holds a total capacity of 1000 people comfortably and provides a stylish feel for any event to take place within. The lounge is first class and boasts ultra modern style, dim lighting and lounge music adds a funky feel to its already sleek décor. The Sunken Lounge is part of the larger lounge or “Nightclub” area. It can be easily sectioned off for parties, work drinks and other private functions. The dance floor area is sunken from the lounge and is made up of a long running bar, beautifully polished floor boards and two huge 50 foot cinema screens. The furniture goes hand in hand with its high ceiling and chandelier lighting.. The area caters to both those who are in it to socialise as well as those who want to dance the night away! 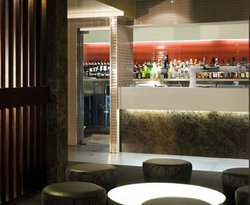 Located in the heart of the CBD, The Collector Hotel is truly Parramatta's premier venue. Catering for corporate guests along with regular party people. 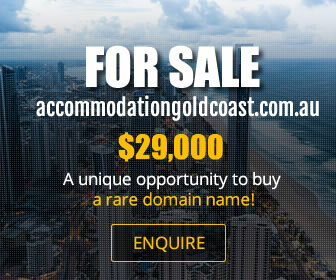 the Collector Hotel has facilities to suit everyone's needs. 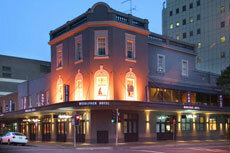 The Macquarie hotel is situated in the heart of Liverpool CBD. It boasts the latest plasma and LCD screens for all your sporting needs and all the modern facilities for you to enjoy your visit to the Macquarie Hotel. Our friendly venue provides extensive food and beverage services and entertainment to keep you entertained for a great night. The Macquarie Hotel is the ultimate destination for your next function. Catering for birthday celebrations, stylish cocktail evenings or family christenings. 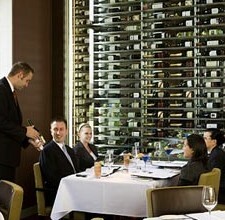 Our dedicated function staff can tailor your food and beverage packages to suit your needs. Whether day or night, from a cocktail party to a sit down dinner, to after work drinks and nibblies that lets your staff know how appreciated they really are we are here to organise and plan a function that suits your needs. The Winston offers a range of bars to choose from depending on where the mood takes you. The Winston Bar is your classic style hotel bar - the place to enjoy a refreshing ale. The main bar opens into the dining room, terrace and pavilions for those who prefer the outdoors. The terrace and pavilions are bathed with sunlight and surrounded by lush gardens - perfect for chilling out! Each area offers plenty of seating options, that are comfortable and relaxing all year round. Our bars provide an extensive range of local and boutique beers, and a great selection of Australian and International wines available by the glass or bottle. You can also enjoy a great variety of spirits and cocktails mixed and served by our friendly staff. A warm and friendly hotel located in the heart of Canley Vale, with a platinum tab and 18 LCD screens, you will never miss that important race. We are a live site boxing venue with access to SKY, FOX 1 2 & 3, as well as SETANTA, it is the place to be for all major sporting events. Longs Kitchen is an icon in the area and it never disappoints with a fantastic range of Asian dishes along with your favorite Australian dishes - it caters for all. This Great Aussie Local Pub has a great history with generations of customers from the local area. The "PUB" has an inclusive and respectful feel that breeds a friendly atmosphere on the Aussie traditions of opinions and banter. This is preserved by the patrons and staff that frequent the hotel. The Bankstown Oasis was built in the 1950’s and is one of the larger style Hotels with accommodation for the area housing two bars and a large private beer garden. Our main bar boasts 5 pool tables and some amusement machines with an ultra modern computerised juke box as well as outdoor facilities. Our hotel also boasts the only drive through bottle shop in the area. We have the friendliest staff in Bankstown. The Oasis is currently under renovations - 50% finished and the other pending. Pop in and see us. You'll find our friendly staff are waiting to take your order and pour your next drink. Enjoy a beautiful meal from our bistro menu with family or friends, a quite drink, or get rowdy in the TAB. Come on down and say Hi! Relax with a game of Pool and a few cold ones. 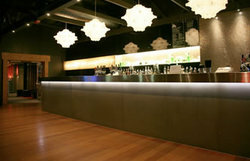 he hotel’s main bar with its opulent lounges & ottomans, extensive wine list and exciting cocktail menu provides a comfortable and sophisticated atmosphere for a drink after work or catch up with friends. The hotel also includes a state of the art sports/TAB bar with indoor and outdoor plasma screen TV’s, TAB facilities, pool tables and an impressive outdoor courtyard. The hotel’s highly regarded Thai Restaurant, M&J Thai, with its innovative menu and recently renovated décor, provides the perfect venue for a casual business lunch or a relaxing dinner. The hotel also caters for corporate parties, pool competitions and birthday celebrations and can offer you and your guests tailored menus to suit your needs. 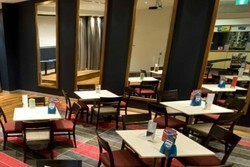 Oscars Sports Hotel is located in the heart of Bankstown. Take a step back from all the hustle and bustle of the busy streets and treat yourself to an Oscars Sports experience. With a friendly atmosphere and modern décor, you will be amazed at all that Oscars Sports Hotel has to offer. 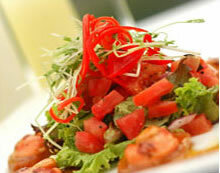 Our chefs prepare all meals to order using the freshest ingredients available. 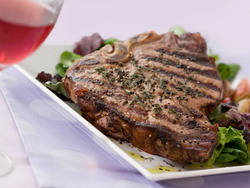 We pride ourselves on our steaks, pixxas, burgers and salads. A great favourite with all the locals is sunday breakfast, served from 10am-3pm. 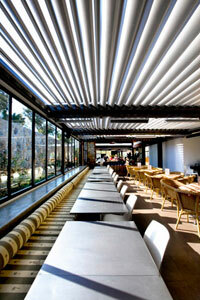 The dining room features a secluded outdoor pavilion which is great for lounging around. 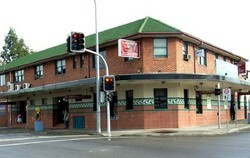 Cooks Hill Hotel is a new establishment to the Cabramatta West area (not to be confused with Cooks Hill in Newcastle). We opened doors for trading on the 1st of December, 2004 and our business continues to grow as does our crowd of wonderful patrons . We might be a small hotel but were big on delivering great customer service and satisfaction. We take the extra care to ensure our customers have a great time every visit. Patrons and guest have the opportunity to become members of the Hotel which puts them in the running to win one of our two weekly Cash Badge Draw Prizes. 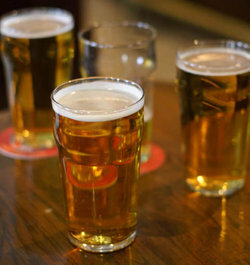 Our Hotel also offers $2.50 schooners all day Monday and on Saturday between 10am-4pm. 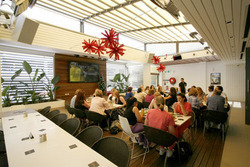 To add to the Entertainment for our patrons, Trivia is ran every Friday night and is hosted by Eddie from Entain.com.au. Play as a group or play as an individual and try to win some of the great prizes available. So if your looking for a relaxing night out with friendly customer service and exquisite dining in our comforting Restaurant be sure to pay us a visit and make sure you bring the family along. Sitting on the lobby level of the Pullman Hotel, Bacar offers patrons a refined dining experience with plenty of elegance. The menu, created by executive chef Bill Magno, offers a melange of contemporary international flavours with truly outstanding dishes such as the marinated quail with parmesan gnocchi, baby carrots, roast parsnips and fresh peas. For dessert, a chocolate fondant with a molten centre will surely please those with a penchant for the sweeter things in life. It is the local’s local. 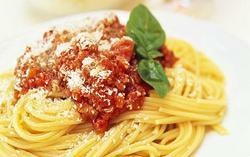 The Bankstown Hotel is a modern, fresh venue offering a good feed for a good price. Whether it’s a family dinner, morning coffee or drink after work, it is the ‘go to place’ for everyone. 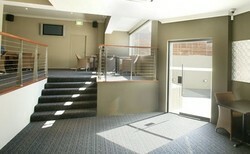 The Bankstown Hotel is the ideal venue for any private function, party or corporate event. With a different bargain special on every night, you can't go wrong with the Bankstown Hotel. The Cabramatta Inn, also known as the Cabramatta Club Hotel was established in 1888, and is located in the heart of Cabramatta just across from the Cabramatta train station. The Cabramatta Inn is now proud to be the local meeting place for people from many cultures and countries who have made our venue their home away from home. Our staff and security provide friendly service and care with the highest code of ethics, integrity and professionalism. It is our prided efforts that are then reflected by the smiles on the faces of our patrons. Try the new Keighery Hotel with recently renovated bar, bistro and gaming areas. The bistro is now serving the world famous Lucky's Grill with specials lunch and dinner. With all LIVE big sporting events such as boxing, NRL & Enlgish Premier League at the Keighery, why would you go anywhere else? When it's 3am on a Wednesday morning and all you want is a beer and a game of pool, this hotel is the place to head. Regularly hosting everything from bingo to line dancing, this multi-purpose club also offers a relaxed spot for a beer and a selection from the tempting range of pizzas. 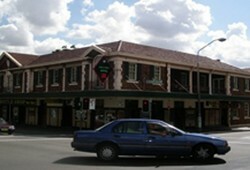 The Canley Hotel is located on the main street of Canley Heights on Canley Vale Road. Open for lunch and dinner 364 days a year, enjoy a mouth-watering steak, burger or check out our blackboard menu for changing specials. Offering 4 beers on tap, premium wines and mouth watering cocktail list, meet up with friends and family as you watch all your sporting favourites with Fox 1, Fox 2, Fox 3 and Sky Channel. 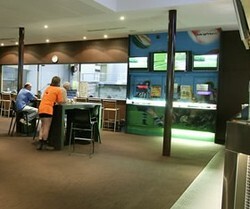 We also have full TAB facilities with Sportsbet open Monday to Saturday until 3am. Enjoy Happy Hour on Saturdays from midday to 1pm with $2.50 schooners. Join our social club and be part of Badge Draw and seafood raffles which takes place on Saturday and Sunday's from midday to 2pm. Have you been here lately? With a recent upgrade the hotel looks fantastic. 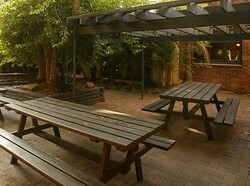 We have state of the art TAB facilities and a peaceful beer garden. Whether you're after a quiet beer, or want to cheer home your favourite team on the big screens, we can cater for all. This Late 19th Century building has just been renovated to offer the latest in facilites and decor. This "early opener", across from Granville Station, blends the new trendy design with good "old fashioned" service! 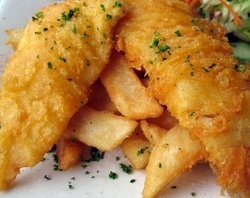 Greenacre Tavern is your typical Suburban pub catering to the needs of locals and visitors from the area. It has good viewing facilities, an outdoor smoking area and make sure you try one of Louie's meals from the bistro - good tucker at a great price! Dripping in Laundy history, this is the "mother" of all Laundy hotels. Built in 1956 by Arthur Snr, the Twin Willows has undergone many changes but continues to impress patrons with dining excellence, an abundance of sporting memorabilia, a huge public bar with all the fittings, great value accommodation, outdoor areas everywhere and plenty of parking space! Most Friday nights you'll still catch Arthur having a beer with locals in his "Spikes Bar". 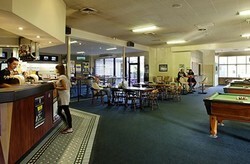 The Villawood Hotel is a recently renovated, modern hotel catering to the needs of it's friendly locals. 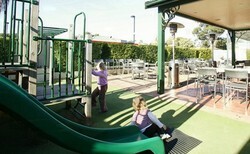 It's relaxed atmosphere is enjoyed every day of the week by patrons. Mondays and Saturdays are the members badge draws. Saturday is race day with excellent TAB facilities. 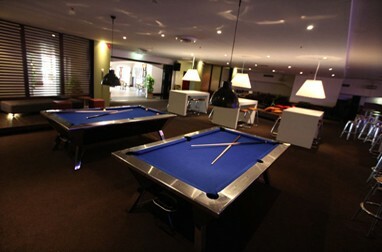 The Villawood Hotel is a great place to unwind and enjoy yourself! Yagoona Tavern, known affectionately to locals as the Cooper Road Tavern or "Snake Pit", is your classic local pub, welcoming to everyone. Friendly staff and warm locals give a relaxed atmosphere for friends to enjoy the best beers around. The Tavern has $1 pool tables (free on Mondays), badge draw, meat raffles and a Sunday BBQ for locals and visitors alike. First licensed in 1880 this Historic Roadside Inn is still catering for the local industries and residents as it did over 100 years ago. This charming establishment has not been affected by our fast moving society as it still relies on its service, quality and relaxed atmosphere - i.e. no pool tables, gaming rooms or TAB. Enjoy live conversations with friends never met. Spend quality time with family and loved ones, impress corporate clients or spoil your employees. Why not get to know them over a quiet drink or delicious gourmet meal?